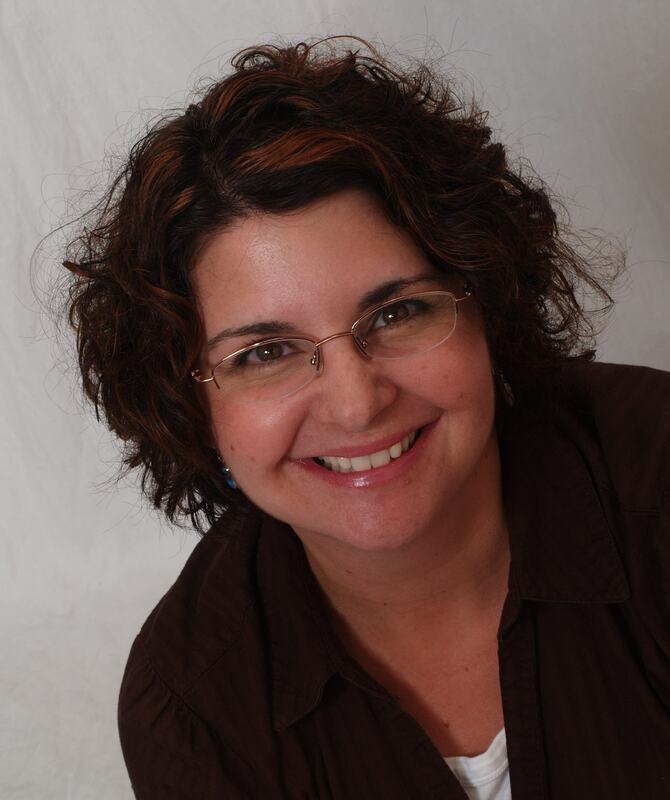 Mother’s Advocate Mondays begin today with extraordinary birth advocate, Danielle Elwood. Danielle’s passion for safe, healthy birth has led her to become a postpartum doula, seek certification as a Lamaze childbirth educator, begin a blog dedicated to empowering mothers, and actively join the International Cesarean Awareness Network. Through her two birth experiences, she has found the importance of trusting your body and baby to guide you safely through the process — and shared with us a few tips for along the way. My passion for birth advocacy began two short months after my first child was born by cesarean section. It wasn’t until after I watched Ricki Lake and Abby Epstein’s “The Business of Being Born” that I realized the experience surrounding his birth truly bothered me. (I was persuaded by my obstetrician to be induced, which made labor difficult, which pushed me to an epidural … and then, cesarean.) When my oldest was 8 months old, I learned that I was pregnant with our second child. I automatically knew — without any question in my mind — that this baby would be delivered vaginally (VBAC). This time, I was going to do everything in my power to avoid a second surgical birth. It wasn’t until I started to research VBAC (and birth in general) that I found so many ways that women can prevent a c-section from happening, even before labor begins. Doing simple things and taking little steps during pregnancy can greatly lower a woman’s risk for a c-section. I developed a list of easy ways to help lower that risk, which helped me work towards my goal of a VBAC. Lamaze, Hypnobirth, CAPPA, Bradley Method — I know — there are so many different kinds to choose from! Whatever your choice, the important thing is to simply take one! Skip the one day birth classes that hospitals typically offer, as most of them teach you about hospital policy, procedures, and how to be a good patient under their care, instead of about the birth process or about natural childbirth. Interview a number of different providers before choosing who will provide your prenatal care and delivery. Ask them the tough questions — what you really want to know about someone who could potentially be delivering your child, or helping “call the shots” when it comes to medical choices. This will prevent issues with your provider from arising later in pregnancy, or worse, during labor and delivery. Many women don’t have a doula for their birth, for either the lack of available finances, or the fear that having a birth coach will take the spot of their partner or husband. There are a lot of benefits to having a doula at your birth, and having skilled, professional support is always helpful (your partner is probably just as nervous and new to this as you are!). As for the money hang up: There are a lot of doulas who are working towards their certification, and will take clients on for free, or a very low fee. Another option is to ask friends and family to chip in for a doula, instead of buying some of those baby shower gifts many of us will never use! We are all uncomfortable towards the end of our pregnancies, and sometimes I wonder why women get pregnant again — after baby feet in the ribs, pelvic aches, and never-ending heartburn. (We all know why we do it again!) Elective labor inductions mean not for a medical reason. More than 40 percent of all labor inductions end in a cesarean section, either because the baby is not ready to be born, or the mother’s body is not ready to birth her baby. Remember, a normal pregnancy can last up to 42 weeks gestation. Due dates are not an expiration date. Moving around is key for helping your baby to be born. For thousands of years, women have been giving birth in “alternative” positions, which are easier for mom and baby. It wasn’t until recent years that women have been put flat on their backs in bed because it is easiest for the person delivering or catching the baby. What women aren’t being told about this position is it decreases your pelvic size, and doesn’t allow gravity to help your baby come down. Get off of your back and move around as much as you can! There are many ways to help your baby get into the optimal position for birth before an external version or cesarean delivery may be necessary. See a chiropractor certified in the Webster Technique. This has an 86 percent success rate of getting your baby in an optimal position for birth. 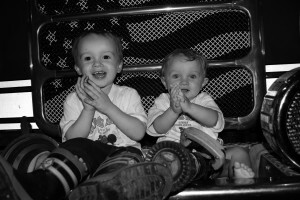 Check out the Spinning Babies Web site. Find a provider who will deliver a breech baby. Wait for the baby to turn. A baby can turn up until labor itself! These ultrasounds are notorious for being up to 20 percent or 2 full pounds wrong in either direction, and could label you as having a big baby, which makes most providers push for an early induction or cesarean. Walk, do light housework, eat — do what you would normally do during the day! This helps both you and baby progress through labor naturally. Have faith in the process of labor and birth! After all of the preparation for my second child, I ended up laboring for more than 26 hours with several issues. My VBAC dreams turned into a CBAC reality. The difference between this and my first cesarean — this cesarean had to be done for my and my baby’s well-being, so I am at peace with it — and feel like I have the best of both worlds due to my intentions to prevent it. Danielle Elwood’s birth advocacy began in 2007, with the cesarean birth of her first child that very well could have been prevented. 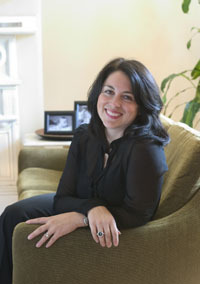 Because of her experience, she became heavily involved with The International Cesarean Awareness Network (ICAN), and began writing in hopes of educating other women in her position. She started her work in the childbirth community as a postpartum doula, and is currently working on her certification to become a Lamaze Certified Childbirth Educator. Danielle is a dedicated mother of two small boys, Camden and Benjamin, and the wife of a veteran marine and fire fighter. For more, visit her blog, Momotics.com. Expectant Mothers: Stand up for Yourselves! Inspired to achieve a natural, vaginal birth after her first child was born by an unexpected cesarean section (she did! ), Tina Cassidy set out to educate society about the history of birth, and how it’s influenced by different cultures and time periods — through her book, “Birth: The Surprising History of how we are Born.” During our interview with her, she shared where exactly her inspiration for birth advocacy comes from — along with some excellent words of wisdom and encouragement for expectant mothers. What inspired “Birth: The Surprising History of how we are Born?” What do you hope readers take from the book? I was inspired by the birth of my 6-year-old, George. I had an unexpected c-section after a perfectly healthy pregnancy, and afterward, my husband asked what would have happened in this situation 500 yrs ago. The answer they gave was horrific — and sparked my interest in how birth has evolved over time. It’s fascinating hearing the women in my family speak about their births throughout different time periods and cultures. I hope readers question birth more. I hope they understand that just because this is how we do it now doesn’t mean that this is how it’s always been done, that other countries do it this way, or that it’s the best way. Its just they way we do it. Other countries actually have better birth outcomes and spend less money achieving them. Many countries have lower infant and maternal mortality, and higher maternal happiness after birth than the U.S.
What went into the decision to deliver your second child VBAC? It’s funny because when I ended my book, I wasn’t even sure I was going to have another baby. I wasn’t planning on it, but lo and behold, I found myself pregnant. Over the years, it has become harder for women to have VBAC in hospitals — some flat-out refuse, and others watch and monitor very, very carefully. This was no way for me to labor and have my baby. It’s scary. It’s stressful. Since my chances of having a VBAC in a hospital were slim — not because it wasn’t safe — but because they were going to be over-precautionary, I decided to give birth at home. I wanted to enjoy having this baby, and I knew from all of the research that a VBAC was a safe option for a low-risk woman like myself. I made the choice to deliver VBAC at home for me and my family, but didn’t take the decision lightly. It turned out to be the most amazing experience I’ve ever had, and I’m so glad I did it. I’m by no means a radical person, and understand and respect that for some, it’s a wild idea. My first birth was (I believe) unnecessarily intervened by c-section, and I didn’t want it to happen again. My second birth was amazing. How can women progress labor and manage pain naturally? I am a real believer in the concept that we’re mammals, and believe we behave like animals in birth. It’s not an accident that when we enter a hospital to give birth, and are surrounded by strangers, we don’t feel safe or protected — we feel scared. The best thing to do is surround yourself with people you know and trust — whether that be a doula, midwife, friends or parents. Your partner is great support, but you need more — because they’re scared, too! Also, make sure you’re in the right frame of mind. Labor can be painful, but if you’re focused on getting it done, its less painful. I had a water birth, and it helped me manage the pain a lot. Being weightless helped me be in an otherwise uncomfortable position for a long time. Birth interventions and cesarean sections are on the rise. Why do you think this is? Hospitals have forgotten that birth is a natural, physiological process, and just because we have technology, we use it. In the midst of these interventions, how can women achieve the happy, healthy births they desire? Expectant mothers have to stand up for themselves long before the birth day arrives. Be sure to make the right choices about your caregivers, support network, and the right place to give birth — whether it’s a birth center, a hospital or at home — you have to arm yourself with enough information about the best place for your birth, and the best people to be there for support. Tina Cassidy was a reporter and editor at the Boston Globe for more than a decade, covering everything from business to politics to fashion — the very things, she would learn, that have influenced birth for centuries. She went on maternity leave in 2004, which morphed into a book leave, which became permanent in late 2005. “Birth: The Surprising History of How We Are Born” is her first book. For more from Tina, visit her blog.